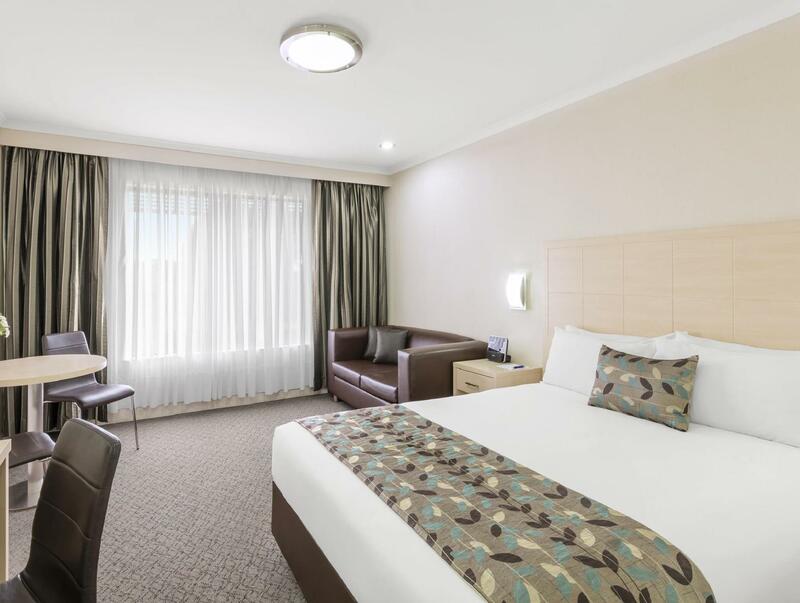 يضمن فندق Best Western Plus Garden City Canberra الذي رمم في 2013 لزائريه قضاء وقت ممتع في هذه المدينة الخلابة سواء جاؤوا في رحلة عمل أو سياحة. يقع مركز المدينة المثير على بعد 8km فقط. يوجد العديد من المعالم السياحية الأكثر جذبًا للسياح في هذه المنطقة. 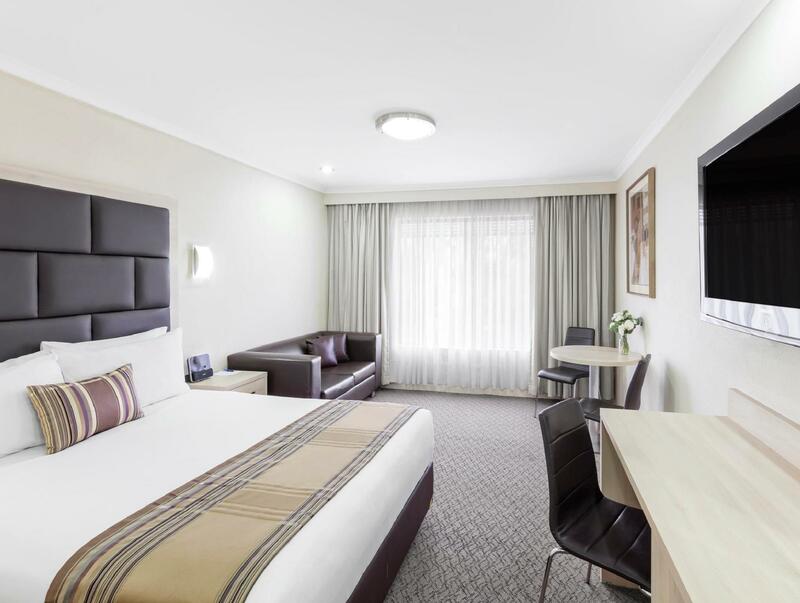 يقدم Best Western Plus Garden City Canberra خدمات لا غبار عليها وكل أشكال اللياقة وحسن الضيافة اللازمة لإسعاد ضيوفه. تتضمن الميزات الرئيسية في هذا الفندق: واي فاي مجاني في جميع الغرف, أمن على مدار 24 ساعة, خدمة التنظيف يوميًا, خدمات بريدية, خدمة سيارات الأجرة. لقد جهزت هذه الإقامة الفندقية بعناية فائقة لتوفر مستوى عالي من الراحة. في بعض الغرف يجد النزيل تلفزيون بشاشة مسطحة, قهوة فورية مجانية, شاي مجاني, مرآة, كاشف دخان. إن مركز للياقة البدنية, مسار جولف - ضمن 3 كم, حمام سباحة خارجي, حديقة هو المكان الأمثل في الفندق للاسترخاء وتفريغ طاقتك بعد نهار طويل. 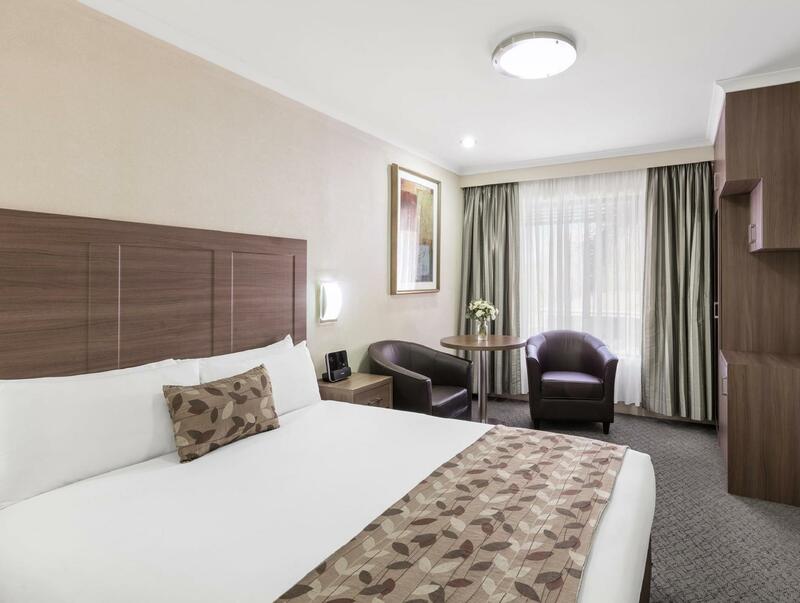 استمتع بخدمات لا يعلى عليها وعنوان ذو اعتبار في Best Western Plus Garden City Canberra . مكتب الإستقبال مفتوح من 07:00 AM إلى 10:00 PM خلال أيام الأسبوع و من 07:30 AM إلى 09:30 PM خلال عطلة نهاية الأسبوع. على الضيوف الذين سيصلون خارج هذا التوقيت أن يتواصلوا مباشرة مع العقار قبل وصولهم ليت ترتيب هذا الامر. Everything is good except the parking. Wanted a one night stay near Woden. Woden itself was very expensive on this Saturday night. Found this hotel on-line for a great price, very easy to get to, fabulous shower, comfy bed and quiet location. Have already recommended to family and friends. The accommodation was very clean and tidy, cupboards for the likes of electric kettle ect... gave the room a stylish presentation, with easy access to crockery ect.. hidden behind cupboards also. Said items not on display which gave a pristine modern look. Bed was a delight, pillows of various comfort, bath linens and bath incidentals offered a good range. Very helpful and friendly staff I encountered on both arriving and leaving. If i had booked direct i would have paid a lot less.So dont go through Agoda.I am an ex Canberran naving lived there for 44 years. I travel back often, normally staying on the north side.This time i changed because of the area of function i was attending. Would have meant more travel but will in future go back to my usual placce even if venue on south side. Not value for money because i booke with Agoda. Something to remember. Nice and easy to get to. Close to city so able to visit major attractions. Friendly and helpful staff and a comfortable bed to sleep in. Will be back! Nice clean hotel. Stayed for 3 nights. Room was a little dated and the window sheer wad torn and stained. Bathroom nice enough although the toilet made noise almost constantly. Breakfast was a bit of a debacle. We paid for free breakfast but on arrival for breakfast day 1 was told that we needed to upgrade to get the hot buffet. That got us the 5 or 6 usual hot items in the bain marie. Day 2 if we wished to upgrade to cooked breakfast we had to then pick a hot breakfast dish from a menu (no buffet), and day 3 the hot breakfast wasn't offered to us!! This definitely didn't match expectation of a free/prepaid breakfast!! Our stay included a continental breakfast (interpretation of that to us was a full Hot breakfast) but were asked when we attended for breakfast if we wanted to upgrade to a hot breakfast for an extra $10. If Breakfast is included it should be more specific on what it includes before you actually get there. Nothing was too much trouble. Staff helped us with information, directions, travelling hints, even going so far as to make a fancy envelope we needed at the last minute for a wedding card. Much appreciated. Would stay here again when in Canberra. 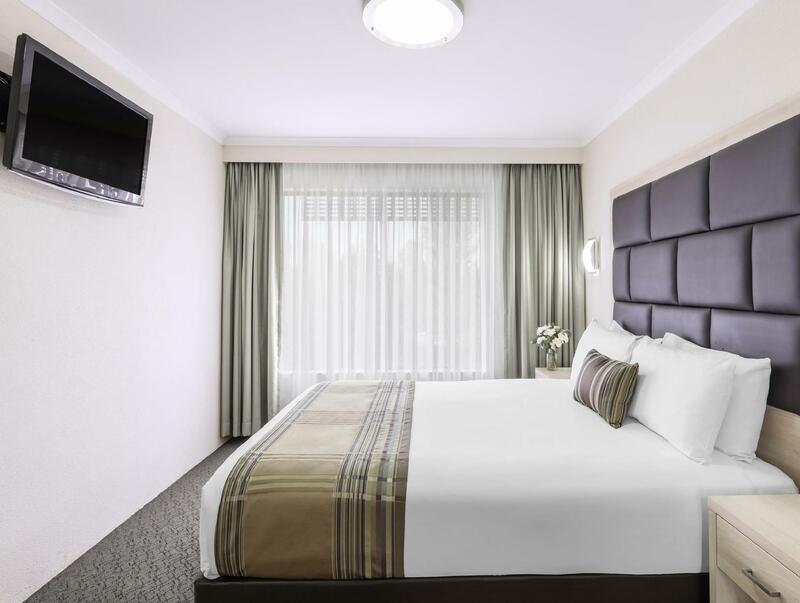 I stayed overnight at the Best Western Plus, Garden City Canberra. The room was well appointed, clean, and fairly close to the airport. The room was also quiet, even though I was road facing, I did not hear any cars at all go past. The bed was comfortable (queen size bed), and the facilities seemed quite good, there was also a swimming pool that I did not get to use. The showers were outstanding, great pressure and quite hot, which was great. The reception staff were warm and friendly and eager to help. For the price it was well worth it, and I'd recommend it to anyone needing accommodation close to the airport (<10 minute drive). Nice room on 2nd floor clean and quiet. Had evening meal at restaurant price was acceptable and meal was good. Happy hour from 5.30 60 6.30 so had a few refreshing drinks with meal. Overall I would stay there again when we overnight in Canberra. Excellent staff at reception on arrival and departure. Restaurant staff were extremely nice as well. Would recommend to friends who do not want to stay in centre of Canberra. Plenty of parking on site and it's free. We stayed here for three nights and were extremely happy with all aspects of this hotel. Staff were very friendly and helpful and the room was modern, comfortable and well maintained. The restaurant menu offered a good variety for all meals at reasonable prices. Would definitely stay here again! Nice and clean room. Only stayed the one night and the staff were happy to accommodate the request for a cot in our room as well and they didn't charge us extra. Not far from the city and lots of parking on site. Location. Price was better that the city's average and accepted kids. The staff were friendly and helpful. Good location and free parking. On site restaurant and bar was available but we did not use on the trip. Check in and out went smooth which is always a good start. Recommended for families and business trips. Only stayed one night. Wish it had have been longer. Staff were very friendly, Restaurant had large menu with well presented and flavoursome meals. Plenty of car parking, clean and spacious rooms. very good indeed. We found this hotel extremely clean and comfortable. The room staff do a great job and we came back at the end of each day with fresh towels even though we didn't request them. The staff are very friendly too. We would definitely stay here again and would recommend it to others. Very quiet, very clean and very comfortable bed. 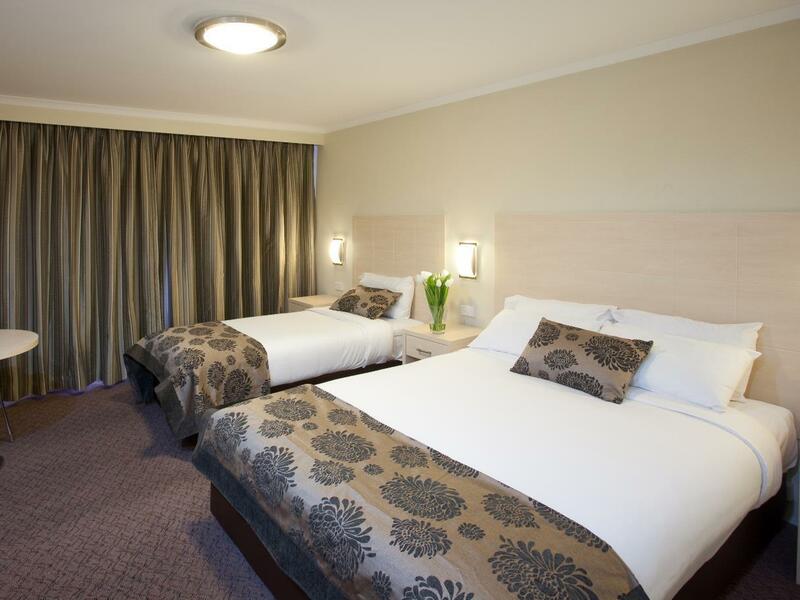 Close to Kingston and Manuka shops and restaurants, this hotel was a very comfortable stay. Excellent bed, very clean facilities and quiet. Plenty of parking. Would definitely stay here again. Very good value!